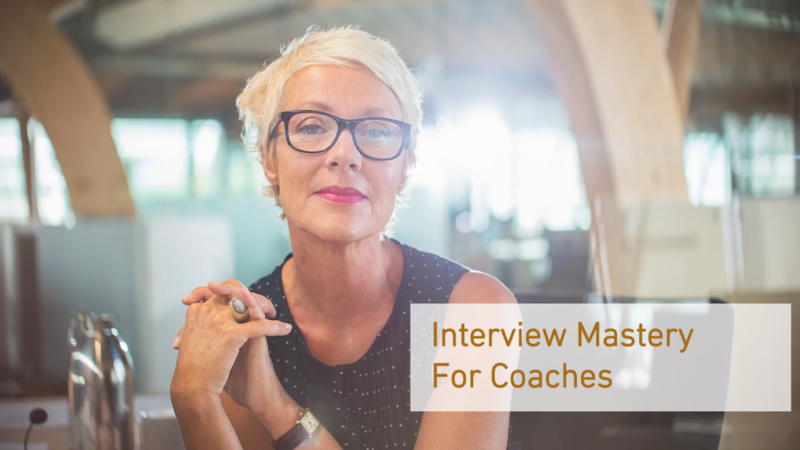 "Interview Mastery For Coaches" is designed as an additional resource you can provide to your career-coaching clients. Your purchase includes two (2) programs: 1. Interview Mastery FULL Program (50 videos) plus: 2. Interview Mastery MINI Course (8 videos), live workshop recording Your coaching clients access Interview Mastery when you subscribe monthly. Start or cancel at any time: Unlimited use by your clients: Immediate access to everything on any device: Free upgrades & additions.